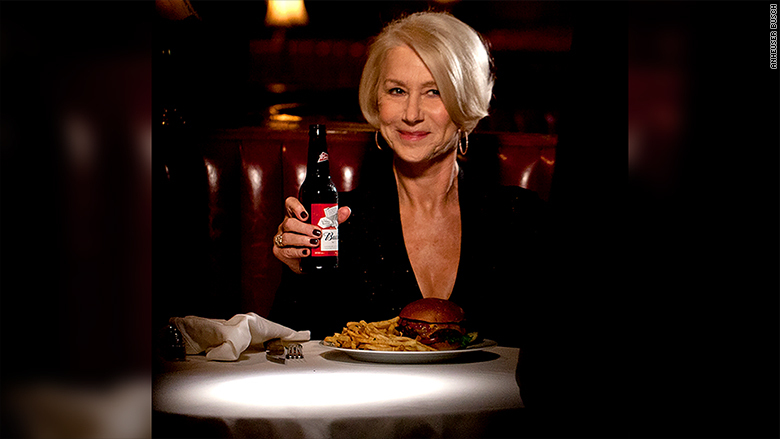 In this Anheuser-Busch (AHBIF) ad, Helen Mirren poses with a bottle of Bud and tells us what she really thinks of drunk drivers. "If you drive drunk, you, simply put, are a short-sighted, utterly useless, oxygen wasting, human form of pollution," she says. "A Darwin-award deserving, selfish coward. If your brain was donated to science, science would return it."